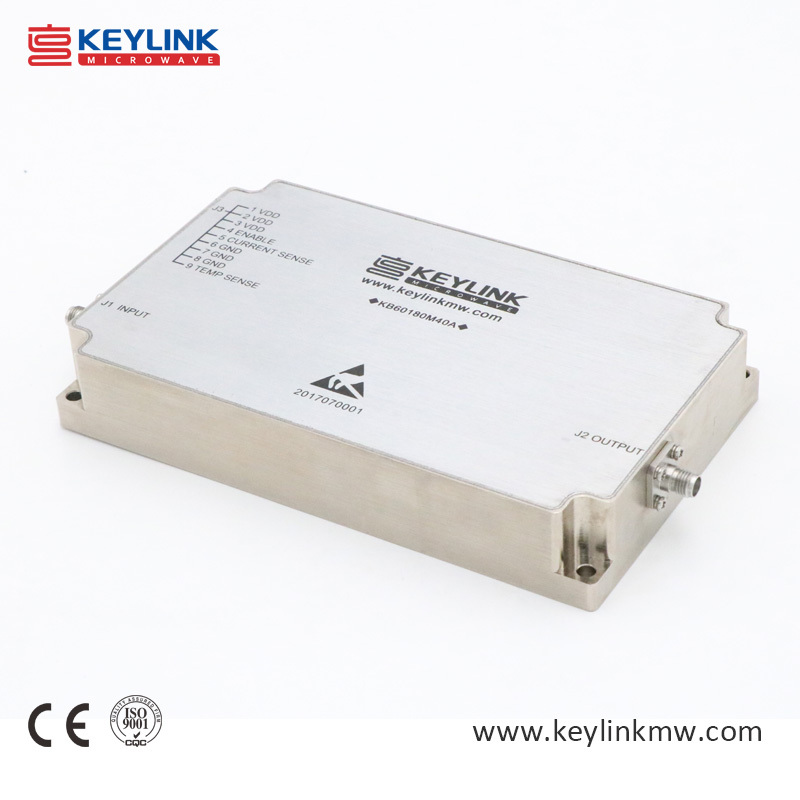 6-18G RF power amplifier,broadband power amplifier,Professional 6-18G 10W 40dBm High Efficiency RF Power Amplifier-Chengdu Keylink Microwave Technology Co., Ltd. The model KB60180M40A is a multi-octave high power amplifier operating between 6 GHz and 18 GHz and offering a wide dynamic Range with 10 Watts typical saturated power. The employment of gallium nitride (GaN) and chip-and-wire technology in manufacturing ensures this module state-of-the-art power performance with excellent power-to-volume ratio. It is ideal for jamming, EMC, test and measurement applications. If you need more information about our 6-18G RF power amplifiers, please contact us .